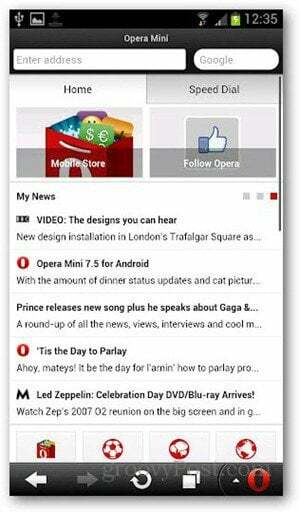 One of the most visited apps on your Android device is the web browser. If you’re unhappy with the stock browser in Android, here’s five free alternatives. Smartphones keep us connected to the internet 24/7, and it’s for this reason that the most visited app on your Android device is the web browser. As much as I adore Android, I have to admit the stock browser is not really that impressive. It’s a good thing there are other apps that make up for it. Browsing on your phone is limited enough, so the experience should be as good as it can possibly be. 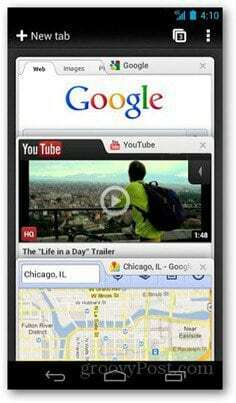 Here are five great options to use when viewing web sites on your Android device. 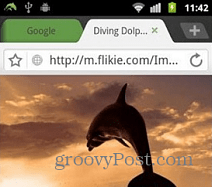 Dolphin Browser has been a go-to browser for early Android users. It provides unique features such as gesture commands and Sonar (a Siri-like feature). This browser also uses sidebars, and has a few add-ons available in the Play Store. 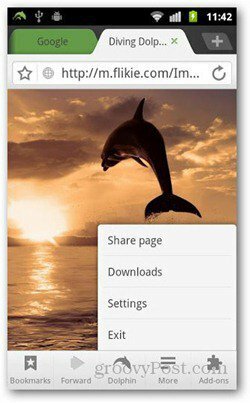 Compared to its full version, Opera Mini’s focus is on speed and data compression, which is a great way to save on data charges for users who have a monthly 3G cap. The app is said to reduce up to 90% of data charges, and boasts to be the fastest browser on Earth. But you can be the final judge of that. 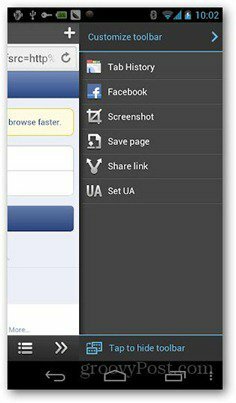 Boat Browser’s best features are those that allow you to customize the app’s interface. With this browser, you can add or remove control buttons on the bottom and side bars, as well as swipe sideways to show more options. Available only to select devices, this mobile version of the popular Google browser is a long-awaited addition to the long lineup of browsers for Android. It’s been worth the wait, as Chrome is as fast and user friendly as expected. This is also a logical choice for those who already use the browser on their desktops/laptops since you can sync all browser data across devices. You can also use Incognito mode to browse the web privately. Judging from a list of their features, There isn’t much difference between Firefox and and Chrome in functionality. It simply matters more on individual preference. 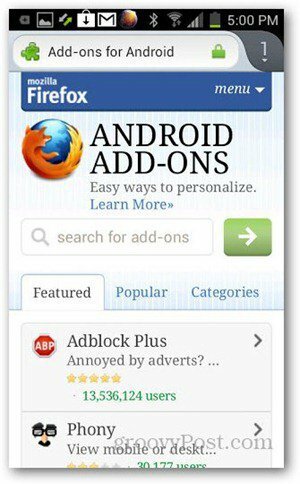 Firefox for Android is also compatible with Android 2.2 devices, unlike Google Chrome. Add-ons are also an option for Firefox, as is with its desktop version. These browsers have better features and functionality than the stock Android browser, so sticking with just one app can be a challenge. Hopefully you’ll find one that fits your browsing needs. They’re not all perfect, but one of them might be perfect for you. Do you have a favorite or one that isn’t included here? Leave a comment and tell us about it! Hi, I want to ask if you guys know about a web browser for Android which also includes flash player like chrome for windows does. Flash Player is a pain in the… but is widely used on the web and a lot of ICS devices dont support fp. If you are having compatibility issues there’s a few options. Skyfire is safe, but I wouldn’t touch other versions of Flash. Flash on Android has to be installed separately as it’s own app. It’s also been discontinued as of version 4.1 (Jellybean). I really don’t recommend running Flash on Android either, as Adobe is terrible at udpating and is slowly backing out support – so the it is really no longer safe to even have flash installed on your phone if you do any sort of web browsing.